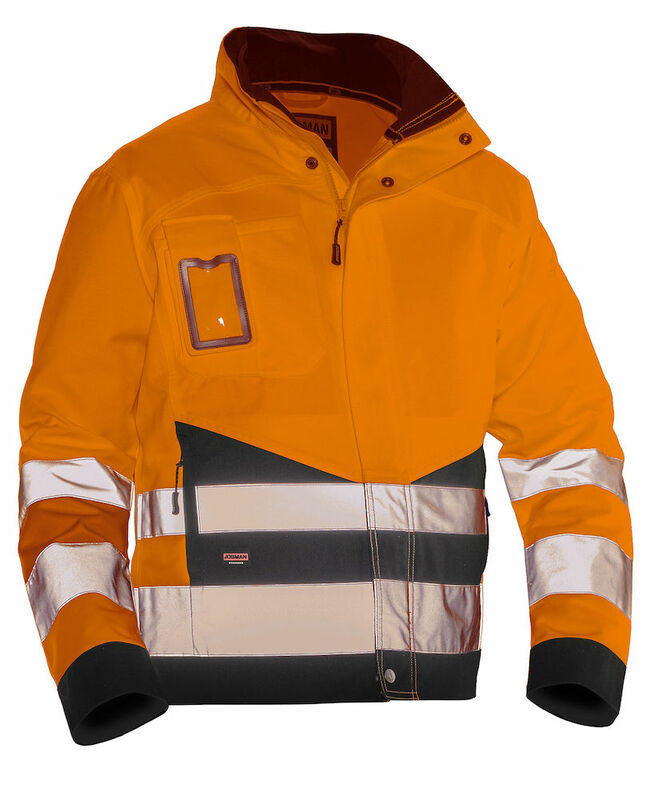 Unlined jacket in polyester/cotton with contrast color on the front to hide dirt. Spacious front pockets with zippers. Chest pocket with integrated ID card holder and pocket for your phone. Inside pockets on both sides. Zipper with external storm flap with snaps. Adjustable waist and cuffs. Extended in the lower back. Certified in Hi-Vis class 3 according to EN20471. 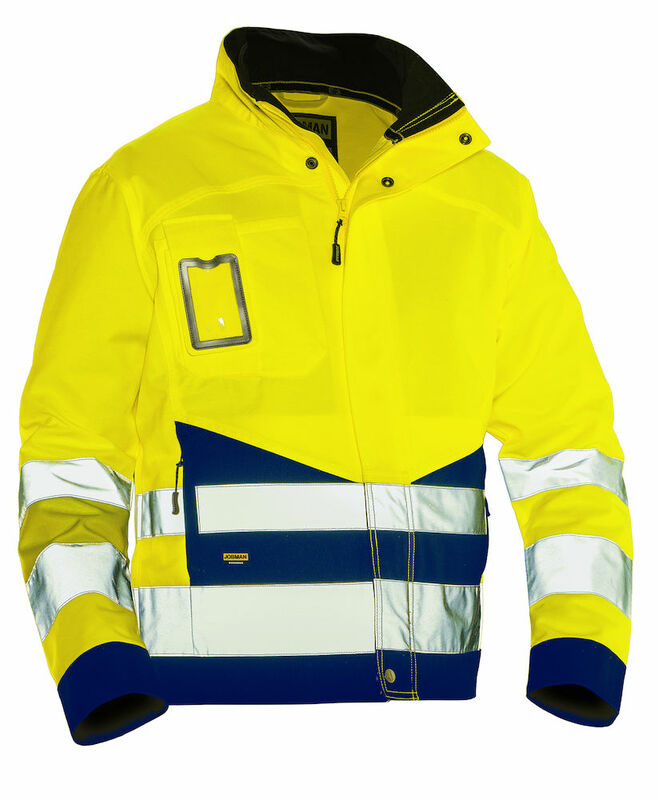 High-visibility jacket made from hard wearing polyester/cotton. ID card holder and phone pocket on chest. Extended in the lower back.